Start your parenting journey with a good deed. Donate cord blood and you – and your baby – could help save a life. After your baby is born, the umbilical cord is cut — daddy usually does the honours! If you did not decide to bank or donate your baby’s cord blood, the umbilical cord will usually be discarded. These days, more parents-to-be are opting to store/bank, and donate their babies’ cord blood. Why bother, you ask? Firstly, cord blood is rich in stem cells. These can be used for haematopoietic (blood-forming) stem cells (HSCs) transplants, which can help treat patients with blood cancers, immune deficiencies, and even certain genetic disorders. So instead of letting baby’s cord blood go to waste by being discard after birth, let it help another person. Prefer not to donate, or to do it later? You can also bank your baby’s cord blood for your family’s future needs. 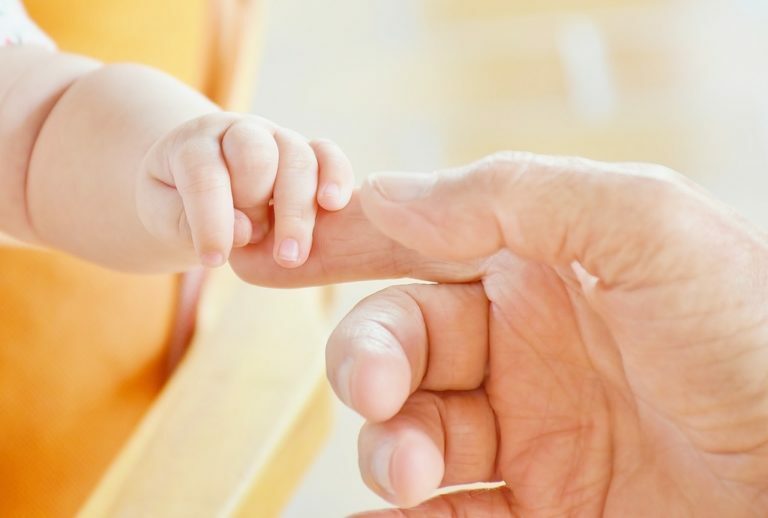 The Singapore Cord Blood Bank (SCBB) offers a family banking service which provides families with the flexibility to store their baby’s cord blood for the family and later, if they choose, to donate to the public cord blood inventory to help save lives. To learn more about SCBB’s family banking service, please call 6394-5011 or visit their website at www.scbb.com.sg. Rest assured that the procedure is safe, non-invasive, and painless for both mother and baby. Umbilical cord blood collection has been carried out for over two decades and is only done after the baby has been safely delivered. 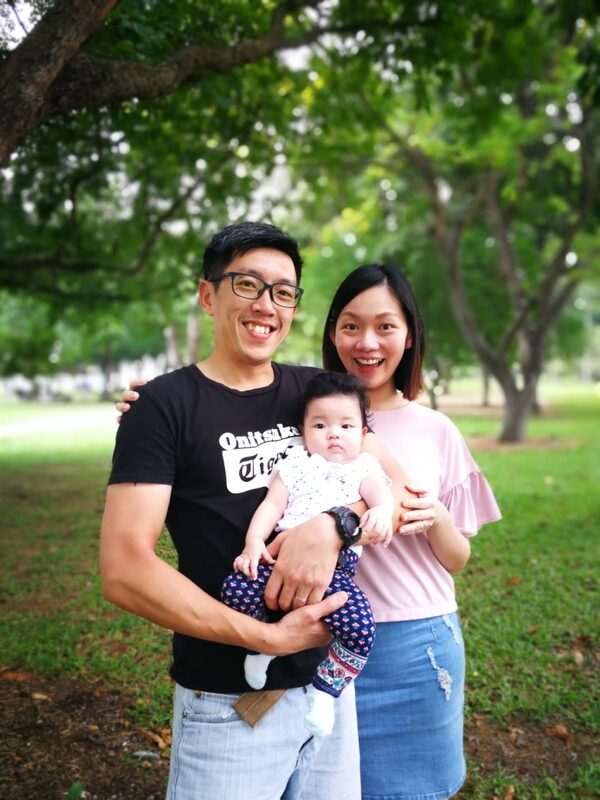 Before their baby girl Kayley Jean Khoo’s (now 4.5 months old) was born, Chin Yong Li, 32, Financial Analyst, and Kelvin Khoo, 39, Sales Manager, decided to donate her cord blood. “We did some research and found that our baby’s cord blood may or may not help the donor and/or her family members in the future. However, the probability of helping others is higher. At that point, we decided that donation would be a better idea for us,” says Yong Li. Why not store it for the future just in case? We are storing it for the future even with this donation. We can request for withdrawal of the cord blood in the future if we need it for medical reasons and if the cord blood has not been used at the point of request. What kind of preparation did you have to do before the procedure? During one of my pre-natal checkups, I had some blood drawn for blood tests as part of the process to be a qualified donor. Other than this, I did not have to do anything at all. What was the cord blood harvesting process like? It was handled by our gynae who delivered our baby girl. The gynae took the cord blood after our baby’s umbilical cord was clipped, and kept it in a pre-arranged storage for the SCBB personnel to collect. I think I was lying down and delivering my placenta at that time. My hubby, a first-time father, was still being amazed by the whole process of birth. Who wouldn’t be, right? What did your parents and in-laws say when they learnt that you would be donating your baby’s cord blood? They were pleasantly surprised, and have shown 100 per cent support for our decision. 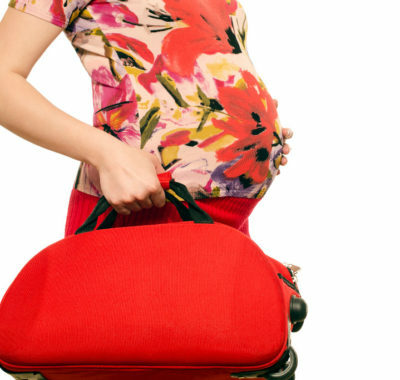 Do you think all expectant parents should be informed about cord blood donation? Definitely. The idea of donating cord blood is still new to many. I believe there are a lot of people who may not be aware of the option to donate cord blood. Why should parents-to-be to donate their baby’s cord blood? The whole process is easy, from expression of interest to registration. There is no extra effort and cost incurred to be a donor. You go through some basic check-ups to be a qualified donor prior to delivery and these coincide with usual pre-natal checkup an expectant mother would do anyway. In addition, the harvesting of cord blood does not jeopardise the birth process and it is painless! Finally, we started our parenthood journey with a good deed; so could you! This post is brought to you by Singapore Cord Blood Bank (SCBB), the first and only public cord blood bank in Singapore. 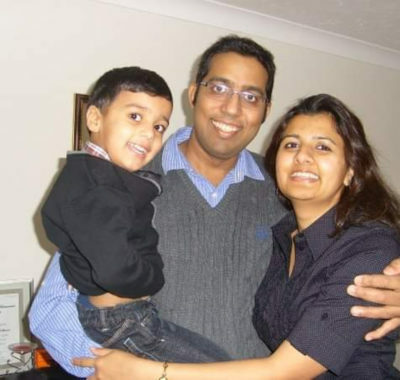 Found in 2005, the non-profit organisation offers both public and family cord blood banking. Inspired to do good with your pregnancy? Sign up for SCBB’s family banking service, mention that you are a SingaporeMotherhood member, and receive a concessionary rate for the family banking service. The offer is valid till end-September 2018. Call 6394-5011 to learn about SCBB’s comprehensive cord blood banking services. ::GIVEAWAY :: A 3D2N Holiday at Villa Crystal in Seminyak, Bali!